Our theme, Floral Infatuation, celebrates the beautiful blooms of the season. The guidelines are super simple: create any vintage or shabby chic project with flowers as a focal point. 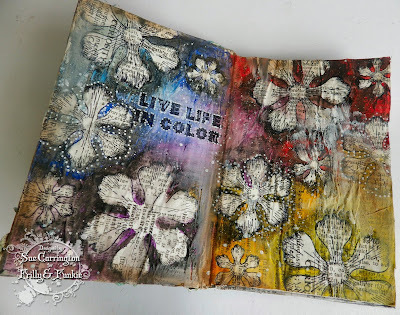 So, with flowers firmly fixed in my mind I opted for a grungy, watercolour journal page ! 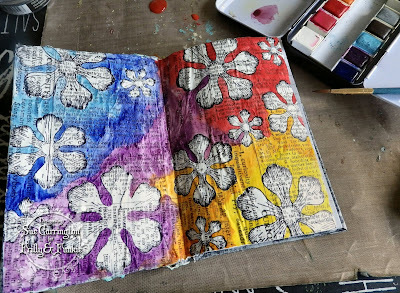 If you saw my altered notebook post this little book gave me the idea to do the next step and create the first journal page. As the pages are quite thin I glued several pages together with Glue 'n' Seal. I then covered the spread with Tim Holtz Tissue Wrap. 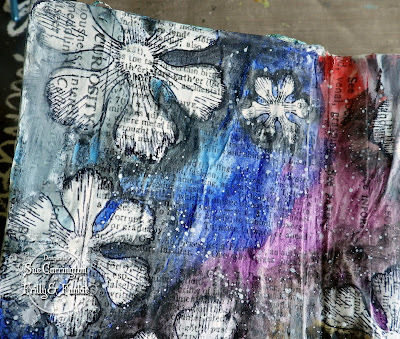 I coated the Tissue Wrap with Glue 'n' Seal to protect it then stamped the flowers from the Heartfelt Creations set. 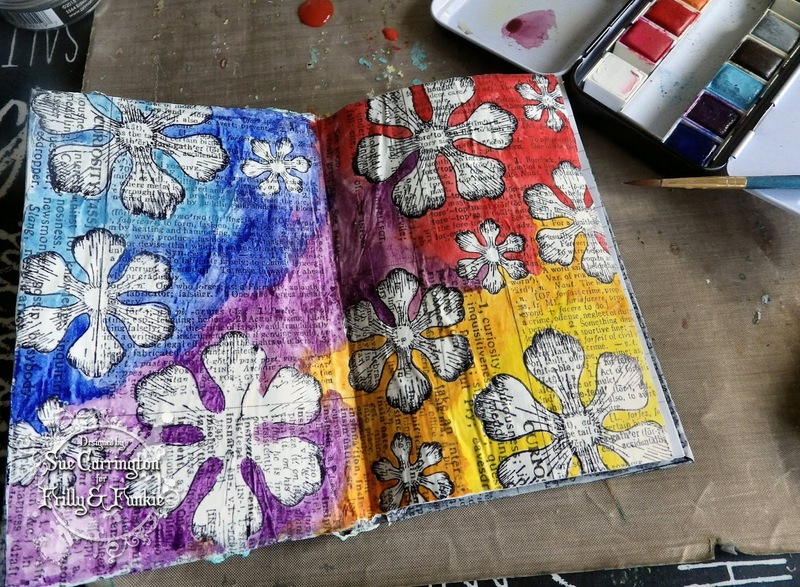 I used the Prima Watercolours to paint around the flowers and as I've coated the paper with Glue'n'Seal I could wipe any paint away from the flowers. 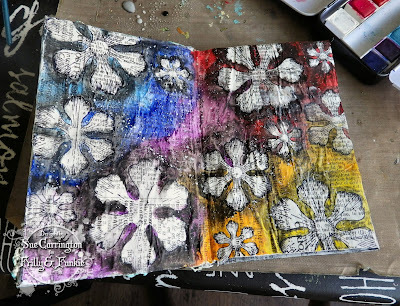 I then used the black watercolour and painted around all the flowers using my finger to smudge the paint. I picked up some white watercolour paint and flicked it over the page. I wanted to knock the colours back so I used white acrylic paint watered down slightly and rubbed it over the page using my finger. Due to the watercolour paint the colours smudged quite nicely. I then used a Sharpie pen to add some dots. 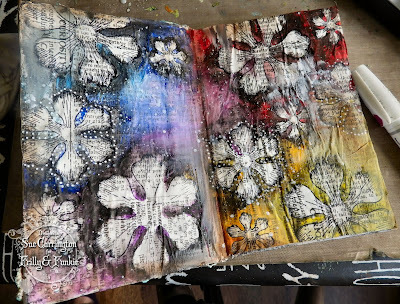 To age the pages a little more I brushed Prima Memory Hardware Artesian Parthenay powder around the edges and up the centre. 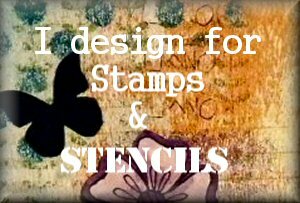 The text is a Wendy Vecchi stamp and I've added some white dots using the Sharpie pen. One final shot to show the finished page. I quite liked working on a smaller size page, still room to experiment but a little quicker to achieve a finished page ! I hope you can join us for this challenge and do make sure you hop over to Frilly and Funkie to see the rest of the DT's fabulous projects. Beautiful journal pages! 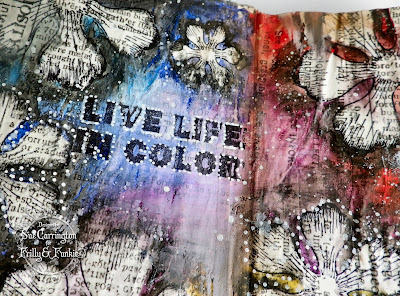 The black shadowing makes the flower really pop amidst all the fabulous colors! I love that you've already put your lovely altered boo to good use! 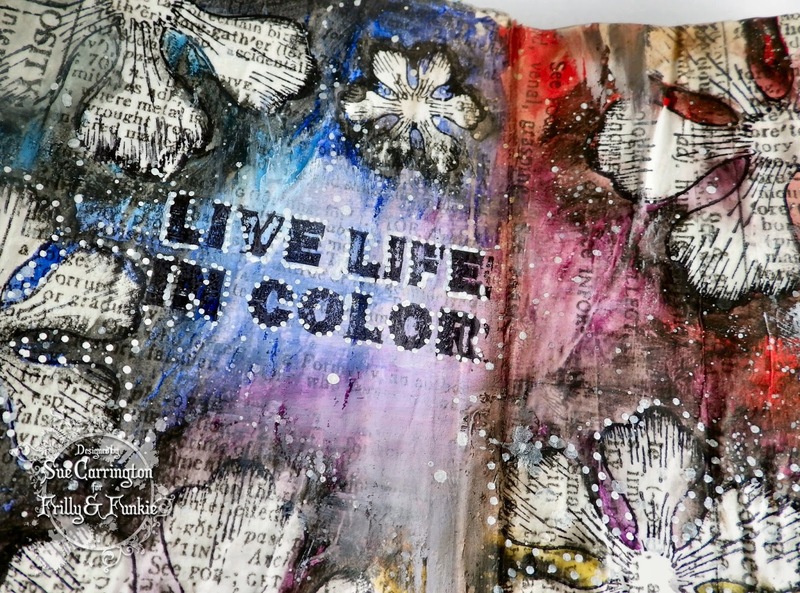 I always enjoy your art journal pages! 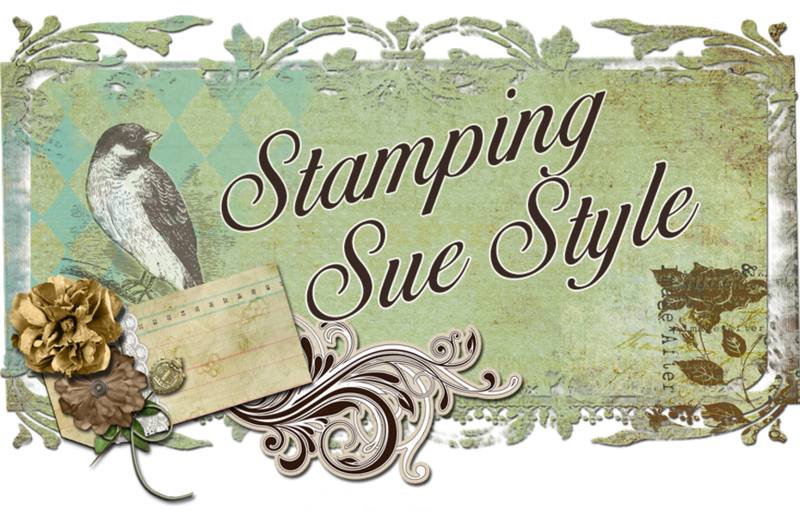 I love getting a peek into the creation of your gorgeous pages, Sue! Your design is so fun and totally COOL! I never would have been able to guess your method of achieving these beauties. Your technique is completely inspired! 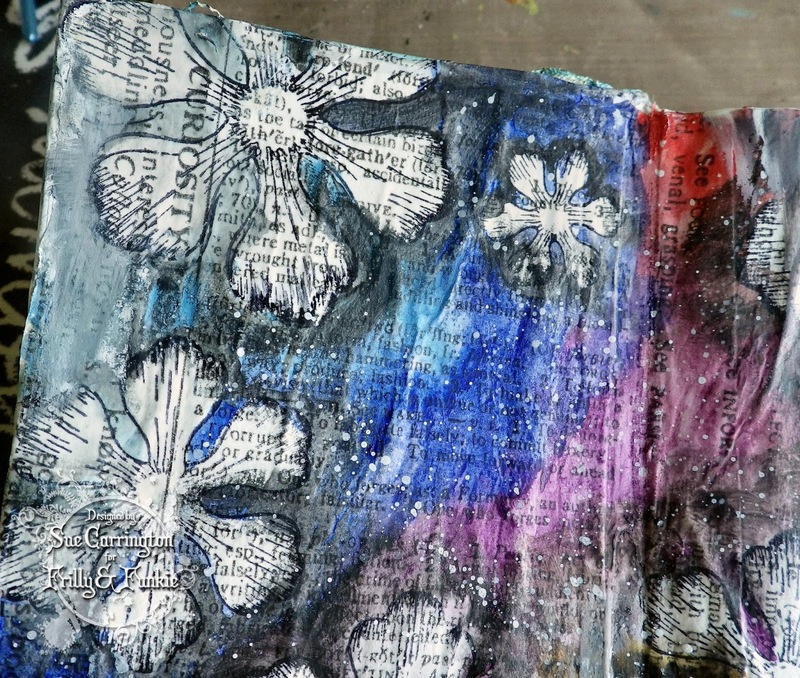 Dark and dramatic - love how the book text peeks through on the flower petals.